Moldova is one of the poorest countries in Europe; unemployment is high and the country is heavily dependent upon remittances from thousands of Moldovans working abroad. A large part of the Moldovan population is Romanian-speaking, although there are also Russian and Ukrainian minorities. The communists were the ruling party in the former Soviet state from 1998 until 2009. Since 2009 Moldova became a more pro-Western state. Moldova currently aspires to join the European Union; the country has implemented the first three-year Action Plan within the framework of the European Neighbourhood Policy (ENP) and has signed a far-reaching Association Agreement with the EU in 2014. Since the parliamentary elections of 2014 this pro-European Union agenda has continued to exist as the pro-European parties gained a majority of 55 seats in parliament, despite the Socialist Party’s victory of the election. However, the possibility that Moldova becomes a serious candidate to be a European member state in the near future is slim. This is partly due to the deterrent political cooperation within the government. Want to get notified by mail when Moldova gets updated? Igor Dodon (1975) is the former leader of the Party of Socialists of the Republic of Moldova and the current president of the country. He studied economics at the Agricultural State University of Moldova and received a doctorate in 1998 from the Academy of Economic Studies of Moldova. In the period from 1997 to 2005 he worked as an assistant professor and lecturer in the academic field. In 2005 Dodon switched to politics when he became Associate Minister of Trade and Economics. After that, he held several other ministerial positions. Till 2011, he was a member of the Party of Communists, which he left hoping that a deal could be worked out with the ruling Alliance of European Integration to elect a president and end the constitutional crisis that had dragged on since the resignation of Vladimir Voronin in 2009. From 2011 until his election as President, he was a member of the Party of Socialists of the Republic of Moldova. 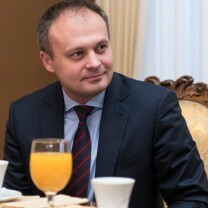 Pavel Filip (1966) is currently Prime Minister of Moldova. From 2011 until his appointment as Prime Minister, he served as Minister of Informational Technologies and Communications. He is a member of the Democratic Party of Moldova. Moldova has experienced some political crises over the past few years, which have caused instability and mistrust of the population in the authorities. The most recent was a political scandal over the falsification of former PM Chiril Gaburici's diplomas, who decided to resign from his position on 15 June 2015. A few months earlier a banking scandal brought people to the streets for mass demonstrations. In April 2015 the Central Bank of Moldova discovered that the three biggest banks of Moldova were involved in several financial transactions that led to the disappearance of sums of money worth a total of 1 billion dollars, which makes up 15 percent of the Gross Domestic Product (GDP) of Moldova. An investigation was started. It is not clear whether politicians were involved in this, but some analysts say the fraud was of a massive scale. The parliamentary elections of 2014 also brought political instability. Three pro-European parties failed to form a coalition for a majority government. The Democratic Party of Moldova (PDM) and the Liberal Democratic Party of Moldova (PLDM) failed to come to an agreement with the Liberal Party (LP), hence the minority government was formed, backed up by the Communist Party. Only on 30 July 2015, a new pro-European majority government was sworn in, ending the uncertain political discourse. The political situation continued to be rather unstable since the Constitutional Referendum of 2010. The political crisis that occurred in 2013 after the dismissal of PM Vlad Filat by a motion of censure of the parliament, further complicated the situation in Moldova. However, regardless of the unstable political conditions, the Moldovan government managed to sign the planned far-reaching Association Agreement with the EU in the fall of 2014 and remains committed to its chosen pro-European course. It should furthermore be noted that since the pro-democratic parties came to power in 2009, there has been some progress in areas of individual freedoms and democratization. As the political deadlock continued on 5 September 2010, Moldova’s citizens were asked in a referendum whether their president should be elected by popular vote in the future, instead of the current vote by parliament. The turnout of the referendum, however, was not enough for it to be valid. According to the Moldovan Central Election Commission only 30.29 percent eligible voters cast their votes, while 33.33 percent was needed. 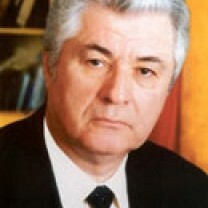 In accordance with Moldovan regulation, interim President Mihai Ghimpu dissolved the parliament and called for early parliamentary elections on 21 November 2010. Ghimpu blamed the low turnout on the Communist Party, which had called for a boycott of the vote. The pro-Western Alliance for European Integration coalition was hoping for a positive outcome of the referendum. In the run-up to the vote the coalition had campaigned for the change as a way to break the political deadlock that left Moldova without a full-fledged president for 18 months. In the latest parliamentary elections in 2014, the percentage of women candidates made up 32 percent. 21 women were elected to parliament, which makes up 20.79 percent. Although women are still underrepresented in Moldovan politics, there is a slight increase of representation since the general elections of 2010, when only 19 (18.8 percent) women were elected to parliament. Liberals turned out to be the worst at promoting women, while Communists promoted the most female candidates. In the 2011 local elections, most political parties met a self-imposed 30 percent quota for female candidates for local council seats, although not for the regional council or mayoral level. In the local elections in 2011, 18.5 percent of the elected local mayors were women. In addition, a parliamentary initiative to amend the Election Code to provide for a 30 percent quota for women candidates on party lists was at the stage of public consultations. Despite some progress, more efforts are needed to promote women to key positions. Across Moldova, women are underrepresented as voters and in leading positions in the government, politics, business and civil society – despite their proven abilities as leaders and agents of change, and their right to participate equally in democratic governance. Women's representation in Moldovan politics and decision-making is below international benchmarks. Women belonging to certain minority groups appear to face discriminatory practices that affect their free access to public space. The Law on Ensuring Equality, which came in at the beginning of 2013, does not include sexual orientation, gender identity, or state of health as grounds for discrimination. The OSCE Gender Advisor noted that the law preventing domestic violence is poorly implemented in practice. Human trafficking remains a serious problem as well. The country is a major source for women and girls trafficked abroad for the purposes of forced prostitution, mainly to Russia and other parts of the former Soviet Union, Turkey, Romania, Southeast Europe, the Middle East, and the European Union. Moldova is a parliamentary representative democratic republic. According to its constitution, the parliament is the supreme representative organ and the single legislative authority of the state. The parliament is an unicameral assembly with 101 seats whose members are elected by proportional representation every four years. To enter the Moldovan parliament, independent candidates must obtain 3 percent of the total number of votes. The political parties must pass a 6 percent threshold and the electoral blocs that consist of two parties at least 9 percent. The electoral blocs consisting of more than two political parties must receive at least 12 percent of the votes. The “lost votes” of the parties that did not pass the threshold are subsequently distributed proportionally among those who did. The president (head of state) is elected by the parliament for a four-year term, and is limited to two terms. To be elected as president at least three fifths of the MPs, or 61 deputies, must vote in favour of the candidate. If the parliament cannot agree about a presidential candidate, the parliament must be dissolved and early elections must be held. On 30 November 2014 parliamentary elections were held in Moldova. Official results of the election were announced on 5 December. Almost 56 percent of the population turned up for voting. The election was a victory for the pro-European parties and they currently have a majority in the 101-seat parliament with 45 percent of the votes (55 seats). The Liberal Democratic Party (PLDM) gained 20.16 percent of the votes (23 seats), the Democratic Party (PDM) gained 15.18 percent of the votes (19 seats), and the Liberal Party (PL) gained 9.67 percent of the votes (13 seats). However, the winner of the elections was the Socialist Party (PSRM), which took a surprising lead with 20.51 percent of the votes (25 seats). The Communist Party (PCRM) received a significant loss and went from 42 to 21 seats in parliament. Just days before the elections, the pro-Russian Homeland Party, the “Patria”, had been removed from the election by the election authorities of Moldova, the Central Elections Commission (CEC). The CEC said it decided to withdraw the party from the polls because the Homeland Party had received financial support from a foreign country, referring most likely to Russia. 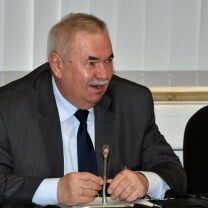 As a reaction, the leader of the party, Renato Usatyi, stated that this decision of the CEC was politically motivated and he left the country for Russia. He added that the money paid into the party’s account (about 424,000 Euros) was given unbeknownst to the movement by an almost unfamiliar offshore company. It was expected that if the Homeland Party was admitted to the election, it would have received 13 percent of the votes. The results of the election have ensured the probable continuation of Moldova’s integration with the European Union within a free-trade zone, despite the critique of the pro-Russian parties. However, due to the narrow majority of the pro-European parties it will be difficult to uphold and endorse a pro-European Union agenda with the presence of pro-Russian parties in parliament. The election results also demonstrated deep divisions within Moldovan society on the question of the country’s external course. A coalition was not formed until 23 January 2015. The negotiations were originally between the leaders of the three pro-European parties - the PLDM, PDM and PL. Nevertheless, on 23 January 2015, the leaders of the parties announced that they were unable to come to an agreement with the PL. As a result, the PDM and the PLDM signed an agreement to form a minority governing coalition. In this cabinet the PLDM will hold 10 seats and the PDM 8 seats. Moreover, the PLDM will name the prime minister and the PDM can name the parliament chair. As to the ministries, the PLDM gets the Ministry of Finance, Justice, Interior, Foreign Affairs and European Integration, Defense, Agriculture and Food Industry, Environment, Education and Health. The PDM gets the Ministry of Economy, Reintegration, Regional Development and Construction, Transport and Road Infrastructure, Culture, Labor, ICT and Youth and Sport. The minority coalition will have to gather support from opposition MPs for each of its proposals. On 13 November 2016, in the second round of the presidential elections, Igor Dodon was elected new Head of State. The openly pro-Russian Dodon (Socialist Party and former economy minister in the communist government from 2006 to 2009) acquired 52.29 percent of the votes against the pro-European candidate Maia Sandu (Action and Solidarity Party and former World Bank official and education minister from 2012 to 2015), who received 47.71 percent of the votes. Such a result could influence the ongoing EU integration efforts of Moldova. Dodon plans to conduct a referendum on withdrawing from the Association Agreement with the EU and joining the Eurasian Customs Union instead. Good relations with Romania and Ukraine have been claimed to be of interest to Dodon as well, even though he supported the annexation of Crimea in 2014. Sandu, in her turn, supported the withdrawal of several thousands of Russian “peacekeeping” troops from the separatist Trans-Dniester region. Arta Dade, head of the mission of the Organization for Security and Co-operation in Europe's Office for Democratic Institutions and Human Rights (OSCE ODIHR) claimed the first round of the presidential elections (30 October 2016) were open, transparent and well-organized. Among the disadvantages observers noted widespread abuse of state resources, biased media coverage and a lack of transparency in campaign finances. A number of gaps and ambiguities also remain: collection and verification of candidate support signatures, the financing and conduct of the campaign, effective electoral dispute resolution, enforcement of media provisions, and the conduct of a possible second round of presidential elections. In the second round (13 November 2016) the OSCE ODIHR mission saw competitiveness and respect for fundamental freedoms. The campaign, featuring televised debates, allowed the two candidates to address voters directly. However, increasingly polarized media coverage, harsh and intolerant rhetoric, and continued instances of abuse of administrative resources detracted from the process. Complaints, mostly related to campaign finances, were not resolved in a timely or consistent manner. Technical preparations for the second round were generally administered in a professional manner and, overall, election day procedures were positively assessed. Despite some efforts to prepare for a high turnout in specific polling stations abroad and for voters from Transdniestria, many citizens were unable to vote because the ballots allocated to these polling stations proved insufficient. 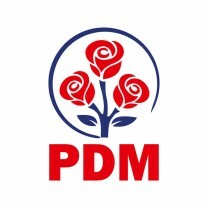 The PDM was founded in 1998 as the continuation of the Movement for a Democratic and Prosperous Moldova, and is currently led by Marian Lupu, acting president of Moldova between 2010 and March 2012. The Democratic Party is a member of the Socialist International and the Party of European Socialists. The ideology of the PDM is based on international social democratic values of freedom, equality, solidarity, democracy, respect for civil rights, human dignity, social justice, the unacceptability of all forms of discrimination and social partnership. In the Democratic Party’s program the priorities are the creation of optimal conditions for the activity of civil structures, the modernization of the social protection systems in accordance with European standards and requirements. Also the creation of an effective system of income redistribution, reform of trade unions and the international recognition and consolidation of Moldova’s permanent neutrality are key objectives. On 10 February 2010, the Democratic Party of Moldova (PDM) and the Social Liberal Party (PSL) officially merged under the slogan “We Come to Build”. The opposition parties formed a new democratic party through the disbandment of the PSL, which was then absorbed into the PDM. The renewed PDM continued under its old name and pledged to work “for the affirmation of the Republic of Moldova as an independent, unitary and democratic state, based on the rule of law and integrated in the united family of European democracies”. The PDM thus supports the integration of Moldova into the EU and NATO. Since the parliamentary election of April 2009, the PDM is a member of the Alliance for European Integration (AEI) coalition in the Moldova parliament. After that, it became a member of the pro-EU three-party coalition cabinet under Lurie Leanca. The PCRM is the only communist party to have held a majority in government in the post-Soviet states. It was the ruling political party in Moldova from 1998 until 2009. Currently it is the main opposition party. The PCRM was registered as a political party in 1994 and is the successor of the Communist Party before the Soviet Union disintegrated. The then Communist Party was outlawed by the government in August 1991, several months before the official independence of Moldova. After the Communist Party was legalised again by the parliament on 7 September 1993, the PCM was reborn as the Party of Communists. The goals the PCRM has outlined for Moldova do not have a traditional communistic character; they include things like economic modernisation, European integration, the consolidation of the society and a new quality of life. Under Vladimir Voronin the PCRM privatized several state-owned industries. The Liberal Democratic Party of Moldova (PLDM) is a centre-right political party. The party’s Founding Congress was held on 8 December 2007 and Vlad Filat was elected as its president. In their statements, the 53 initiative group members acknowledged the profound crisis in the Republic of Moldova and the inability of political parties to face the situation. The PLDM emerged as a capable alternative to start the process of moral reorganization of the political class, rebirth and modernization of the country and re-establishment of the society back on its natural track of democratic development. The party attracted a large number of prominent members of the civil society and in the parliamentary elections of July 2009 the PLDM obtained 16.57 percent of the votes. In the early parliamentary elections of November 2010 the PLDM doubled its results, obtaining 32.2 percent of the votes (32 deputies). The strategic programmatic goal set by the PLDM is the reconstruction and modernization of the Republic of Moldova, as well as the establishment of a rule-of-law state and efficient market economy. In its program, the party aims at becoming the main driver for overcoming economic, social and civilization gaps. The Liberal Party was created at the unifying Congress of 24 March 2002, on the basis of the merger of the Party of Rebirth and Reconciliation of Moldova (1995); the National Peasant Christian-Democratic Party (1993) and the Social Liberal Union "Force of Moldova". It is a conservative liberal party. The Liberal Party has centered its program on the liberal doctrine and on the most recent neo-liberal achievements. The Liberal Party is largely represented in the local public administrations and has chairmen and vice-chairmen at the Councils of the territorial units of grade II, thousands of local counsellors, hundreds of mayors, etc. After the parliamentary elections of July 2009, the party became a coalition partner within the Alliance for European Integration. In the parliamentary elections of November 2010 it gained 9,96 percent of the votes. The Liberal Reformists Party (PLR) was formed on 12 April 2013 after the reformist Liberals separated themselves of the Liberal Party (LP). The PLR first started as a Liberal Party Reform Council (CRPL), a pro-government faction within the Liberal Party calling for reform of the party. The council pleaded for holding an extraordinary congress and the replacement of its leadership. Its seven MPs were subsequently ejected from the LP and then agreed to enter a new coalition, called the Pro-European Coalition with the Liberal Democratic Party of Moldova and the Democratic Party of Moldova on 30 May 2013. On 21 June 2013 a General Meeting of the Liberal Party Reform Council took place, in which they adopted a decision to create a new political party with liberal doctrine. In July and August 2013 the reformists collected over 14.000 signatures, enough to register a party. On 1 August 2013 the first meeting of the Council of Founding of the Liberal Reformists Party took place in Chisinau. The party’s symbol is the graphic image of a blue eagle on a white background that has twelve golden stars of different sizes arranged in a circle on its wing. The liberal reformers are determined to give Moldova the chance to achieve all the national political, social and economic desiderata and the options stipulated in the Declaration of Independence of 27 August 1991. The PLR is staged on the political right and is based on the liberal doctrine and pro-European and pro-Romanian visions. In June 1997 the Party of Socialists of the Republic of Moldova (PSRM) was founded by members of the Socialist Party of Moldova. As the title says, the PSRM is a socialist political party. Veronica Abramciuc and Eduard Smirnov were elected as the first co-chairs of the party. 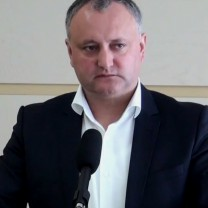 In 2011, Igor Dodon, former member of the Party of Communists of the Republic of Moldova, joined the PSRM and was shortly after that chosen as chairman. The PSRM won the parliamentary elections of 2014 with over 20 percent of the votes. However, the party will likely not be able to join a coalition government due to a pro-EU coalition majority resulting from the parliamentary elections of 2014, and its own preference of developing towards closer ties with Russia instead. Andrian Candu was born on 27 November 1975 in Chişinău. He is a business man and a jurist by profession. From 1994 until 1998 he studied at the Babes-Bolyai University in Cluj-Napoca in Romania. Afterwards he followed a postgraduate program in international tax law at the Vienna University of Economics and Bussiness administration (2007-2008). Before becoming a member of parliament from PDM, Candu worked as a Senior Consultant in the Committee for Foreign Affairs Policy of the parliament of Moldova. Since December 2010 he has been a member of parliament. In november 2010 he became a member of the Parliamentary Committee on Legal issues, Appointments. He was named Minister of Economy on 2 July 2014. Previously he served as Deputy Head of Parliament between May 2013 and July 2014. After the conclusion of the coalition agreement in January 2015, he was chosen to be the parliament speaker. Andrian Candu is married and has 2 children. Mihai Ghimpu was born on 19 November 1951 in Chişinău. In 1978, he graduated from the Department of Law at the Chişinău State University. He worked as a lawyer from 1978 to 1990. He also headed legal departments of several state enterprises and worked as a judge at the Chişinău’s Râşcani District Court. In the late 1980s, Ghimpu joined the Democratic Movement. In 1989, he was one of the founders of the movement’s successors, the Popular Front of Moldova – known as one of the leading political forces in the Moldovan Soviet Socialist Republic (MSSR) – which was later succeeded by the Christian-Democratic People's Party. Ghimpu was elected Member of Parliament on the list of the Popular Front in 1990. In the parliamentary elections four years later, he was elected as a representative for the Bloc of Intellectuals. In 1997, Ghimpu was elected Chairman of the Party of Reform – the current Liberal Party. 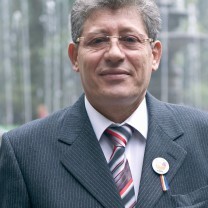 Between 2007 and 2009, he was member of the Chişinău Municipality Council. During the early parliamentary vote in July 2009, he was re-elected MP. A month later, on 28 August, he was elected Speaker of Parliament. Ghimpu became Moldova’s acting President on 11 September, 2009, after former (Communist) President Vladimir Voronin resigned. He remained the country's president until 28 December 2010. 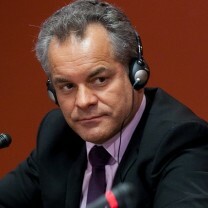 Vladimir Plahotniuc was born on 1 January 1966. He currently is the leader of the Democratic Party of Moldova (PDM). He is also a successful businessman and politician with several degrees. He has among others a MBA from the technical university of Moldova, and a Bachelor of law from the university of European Studies of Moldova. Two of his biggest business ventures were as an executive with Petrom Moldova, a Romanian owned oil and gas producer. He was also chairman of the Victoriabank, one of the biggest commercial banks in Moldova. He furthermore owns two of Moldova’s largest television broadcasters: prime and TV2 plus and is said to own more. Plahotniuc started his political career at the Democratic Party in 2009, initially by supporting the party financially. Following this, he was elected to the previous parliament in 2010 to quickly become the first deputy speaker. Eventually, when the ruling coalition collapsed, he had to resign and left the parliament in 2013. He was nevertheless elected again as a member of the parliament in 2014, to resign again in 2015 "to focus his political activity on reforming the party". In 2016 he was proposed by the Democratic Party to be the new prime minister, though this was rejected by the president. Eventually, he was elected as the chairman of the Democratic Party of Moldova which is the position he currently holds. He has been accused of corruption and other criminal activities in his past on several occasions, but no substantial proof has ever been presented and he has claimed the rumours are distributed by his (business) rivals. Vladimir Voronin was born on 25 May 1941 in the village Corjova. Although he has a ‘Russian’ name, his origin is ethnic Romanian. Voronin graduated from the Co-operative College in Chisinau in 1961 and from the Union Institute for Food Industry in 1971. In 1983 Voronin finished the Academy of Social Sciences of the Central Committee of the Communist Party of the Soviet Union and in 1991 he graduated from the Academy of Internal Affairs of the Soviet Union. Between 1966 and 1971, Voronin held different positions, including director of different bread factories. In the following ten years, he worked in the state administration of the Moldovan Soviet Socialist Republic (MSSR). From 1983, he was an inspector and the vice-director of the Organization Section of the Central Committee of the Moldovan branch of the Communist Party of the Soviet Union. Between 1988 and 1990 Voronin was Minister of Internal Affairs in the MSSR. In 1993, Voronin obtained a new position, becoming the co-President of the Organizational Committee for the creation of the Party of Communists of Moldova (PCRM). The Communist Party was banned between 1991 and 1993 and Voronin played a central role in reviving it. Voronin was elected Chairman of the PCRM in 1994. In the general elections of March 1998, he was elected MP and parliamentary leader of the PCRM. One year later, the acting President of Moldova – Petru Lucinschi – nominated Voronin as Prime Minister. The nomination, however, was not supported by the majority of the parliament. Voronin was re-elected MP in the general elections of February 2001. On 4 April that year, Voronin was elected President of Moldova and was re-elected in the presidential elections of 2005. In the parliamentary elections held on 5 April 2009, the PCRM finished with 60 seats, which was one seat short to elect a president. After Voronin retained his seat as interim President and was elected Speaker of Parliament, massive demonstrations broke out to protest the election outcome. In the early parliamentary elections held in July 2009, the PCRM lost its parliamentary majority. Voronin then decided to resign as President and left this post on 11 September 2009. Vladimir Voronin is married and has two children. Viorel Cibotaru was born in 1958 and studied journalism at the Moldova State University and did his dissertation in philology. After his studies, he worked as a journalist, first for newspapers, and subsequently for the Foreign Relations department of the Ministry of Defense. 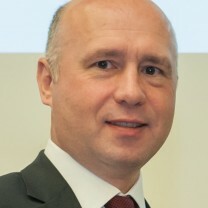 In the period from Feburary to July 2015, he served as the Minister of Defense of Moldova, and in 2016 assumed the position of Chairman for the Liberal Democratic Party of Moldova. Moldova moving closer to Russia?